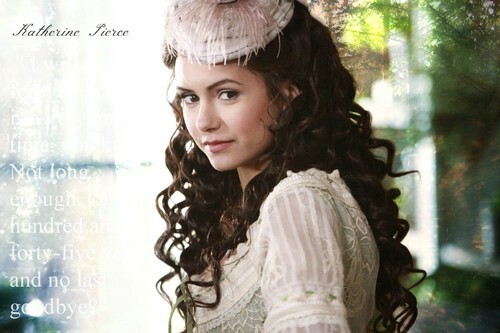 katherine pierce. katherine pierce. HD Wallpaper and background images in the the vampire diaries club tagged: the vampire diaries tvd cast elena gilbert elena katherine katherine pierce katerina petrova. This the vampire diaries fan art might contain mantilla, mantel, mantilla, and mantelet.